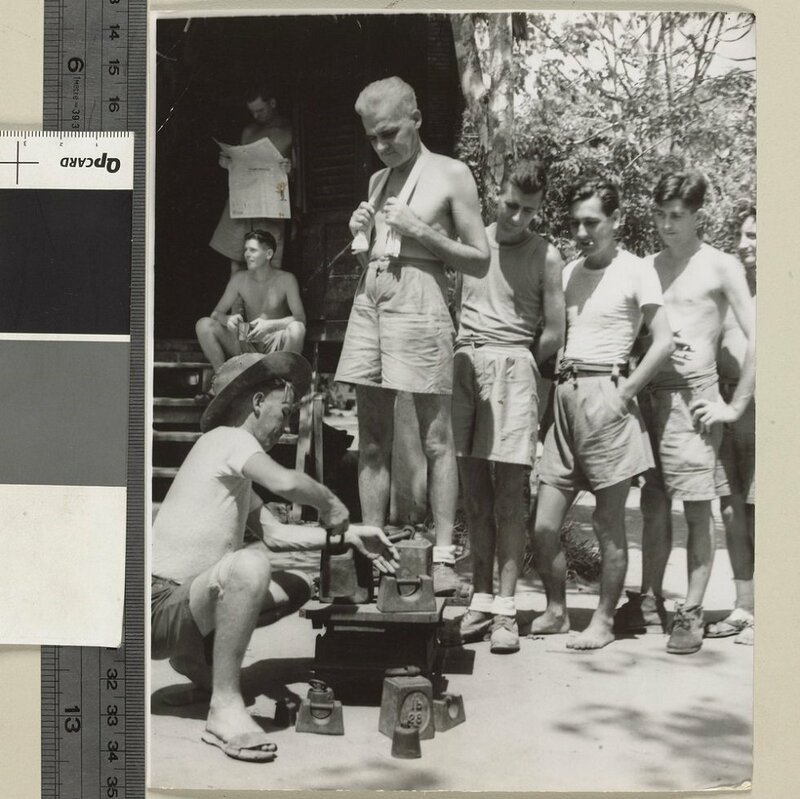 Australian ex-POWs in Kranji Camp, Singapore, weighing themselves daily to see how much weight they are gaining, 1945. Image courtesy of Argus Newspaper Collection of Photographs, State Library of Victoria. 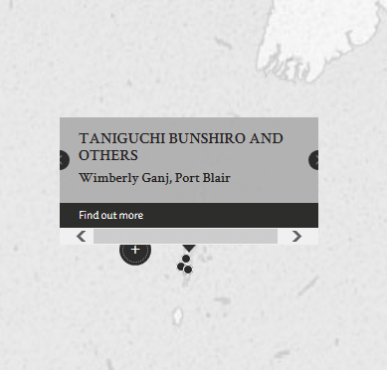 5 local Indian coolies, Ramaswami, Shakarwarda Wali Mohd, Nur Mohd, and Sher Khan, were suspected by Japanese civilians, Taniguchi Bunshiro, Sawane Hatsutaro, and Uchimura Sadao, of stealing foodstuffs and were brought before them and interrogated. Sawane and Uchimura generally mistreated the coolies, including burning one with a lighted piece of wood and tying another to a tree, beating him, and leaving him without food and water for 3 days. Taniguchi was present and on each occasion directed the proceedings. All 5 coolies died from the beatings. The Court made it a point to highlight the horrific nature of Sawane Hatsutaro and Uchimura Sadao's crime and called it a story which "for sheer bloody brutal callousness, cruelty and obscenity there can surely be no parallel" and that their victims suffered "untold agonies at [their] hands before they died." Sawane and Uchimura were later executed with other war criminals, including two well-known ones known as "Frog" and "Undertaker". This was deemed newsworthy enough to be reported in The Singapore Free Press (29 July 1946, Page 3). Taniguchi, Bunshiro. Civilian. From Japan. Guilty. 15 years' imprisonment. Sentence confirmed. Sawane, Hatsutaro. Civilian. From Japan. Guilty. Death by hanging. Sentence confirmed. Uchimura, Sadao. Civilian. From Japan. Guilty. Death by hanging. Sentence confirmed. Greene, B.E. Lieutenant Colonel. From British military. Court President. Lewis, R.I. Major. From British Indian Army. Hitoshi, Ito. Civilian. Prosecutor. Courts of Korea.